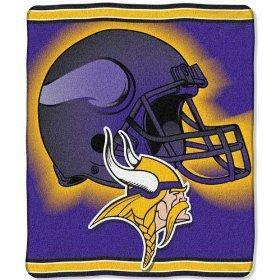 The Minnesota Vikings cheerleaders are well known throughout the world due to both their team's success and their own work as liaisons for this very popular NFL team. More than almost any other NFL squad, the Minnesota Vikings Cheerleaders have to be ready to put on their smiles and best routines in some of the worst weather in the league. Their home state of Minnesota is known to have some of the worst weather in the nation, but for decades the cheerleaders have spurred their team on to victory after victory and several championships. The team itself came long before the MVC (Minnesota Vikings Cheerleaders), and the first women to cheer them were a squad called the "St. Louis Parkettes." Five NFL championships and four Superbowls later, the Vikings decided they should make it official and auditions for the first Vikings cheerleaders began. Over 600 women auditioned in 1984, and 36 were chosen to be on the team. Ever since then the Minnesota Vikings cheerleaders have become an integral part of the team and the fans' experience. "Once a Minnesota Vikings Cheerleader..."
"...always an MVC!" reads the website of the Vikings cheerleader alumni (aka "The A-Team"). This group of women maintain their pride in being on the Vikings squad by taking part in revving up the crowd in front of the stadium every home game. Even though they've gone on to become mothers, professionals, and pursue other careers, they still love their team and their roles as cheerleaders. The A Team practices for two hours a week to keep their routines and dance moves fresh, and also perform with the regular squad in the end zones for two games a year. Community outreach is a big part of being an NFL cheerleader. All of the levels take part in competitive dance team championships, as well as various charity events and variety shows during the year. Their training is overseen by the head and assistant coaches of the pro squad, and they take their work very seriously - the Minnesota All-Star dance teams have made it to the top levels of several competitions. With an organization as robust as this, it's no surprise that competition to get into the ranks is fierce. Before audition season comes, the team hosts a once-a-week "MVC Training Program." Aspiring cheerleaders focus on developing their "...dance technique, stamina, fitness, cheer motions, poise, and much, much more." Aside from having guest choreographers who come in to help refine their movement skills, the group also spends time focusing on ways of increasing their work in the community. Between twenty to thirty candidates work through the program every year, trying to get to auditions and make the team. Once she makes the team, a Minnesota Vikings cheerleader's work really begins. Public appearances, photo shoots, and of course the pressure of performing during the games for the 64,000 and more fans. Even with over thirty members in the squad, their work is intense, but the MVC members have been meeting the challenge year after year. Starting in 1993, the cheerleaders got to send representatives to the Pro Bowl in Hawaii, where aside from learning new choreography for the Pro Bowl game and expanding their photo shoots they also did more charity work, visiting hospitals, military personnel, and more year after year. Alumnus after alumnus has written in blogs about how much being a Vikings cheerleader means to them on the official MVC Alumni website, and they even have moved into the social networking era with their own Facebook page with more than 3000 fans!